Switzerland is facing a property bubble arising from the imbalances and sharp increases in prices based on a quarter-on-quarter basis, UBS said in a recent published study. 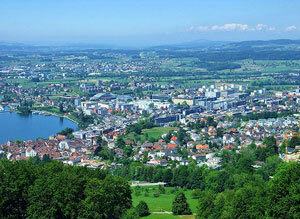 The UBS property index for the Swiss Real Estate has moved higher toward the risk zone during the third quarter. The Swiss property index has indicated that real estate prices in Davos soared 7.6%; Zug recorded a 5.1% increase; and 3.8% increase was noted in Zurich and Lausanne. In Geneva, home prices moved up by 1.8%, which UBS said though lower compared to others, is still a substantial amount of increase. According to UBS, this is the first time since 1990 that the index breached the comfort zone of a balance and boom and even entered the risk phase. The real estate price increases could not be sustained by “stagnating income and declining consumer prices,” UBS warned. The ratings agency, Standard&Poor’s lowered its outlook on nine smaller, Swiss regional banks citing a Swiss real estate bubble might burst.